These things have come up at least a couple of times on this forum. I know 'cause I found them with the google machine. 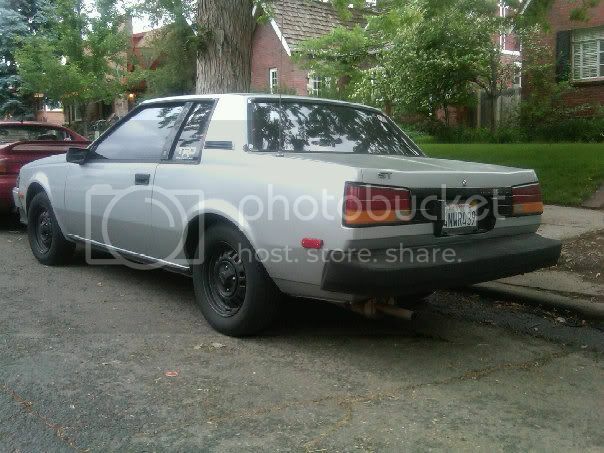 So I thought I'd drop in and tell you about my new project, a 1984 Celica ST. 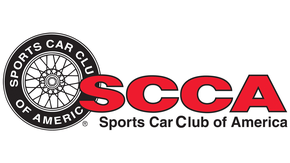 I'm building an SCCA F Street Prepared autocross car. It's a very low option car- A/C which I have removed, mostly, and am getting A/C delete parts for. Rear window defogger. Yeah, that can't weigh anything. And it has Power Steering which I'm keeping for now. Besides, manual steering seems near impossible to find for these things. So, here's the thing with the RA64- everyone says they're too heavy. But how much do you think it weighs? Think of a number... I'll wait. So my car, with most (but not all) of the A/C off weighs 2416 lbs. So in Street Prepared trim (light flywheel, light battery, header, light seats) it'll be around 2300 lbs. Hey, wait a second! That's AE86 territory! Yup, and it get's better(ish) That AE86 has a 1.6 liter engine and makes 112 HP and 97 lb. ft. of torque. 16 valves and yadda yadda. Yeah, I know my 22RE isn't a "performance engine", but it's 2.4 liters. The '85 which I can update/backdate into my car made 116 HP and a whopping 140 lb. ft. of torque! But come on, with bolt on mods, that displacement has to be worth something. What will it make in Street Prepared trim? Who knows, maybe 140 HP and 165 lb. ft.?? We'll see. They say torque wins autocrosses. Guess I'm going to put that to the test. Anyhow, that’s my project. May turn out that I’m spending a lot of cash on something that will never work. But most of the AE86 suspension bits will bolt on, so I should be able to build something that works at least pretty well. Okay, yes, it will probably be the heaviest FSP car playing on any given day, (by 2 or 300 lbs) but will probably have 40 lb. ft. on anything else in the field too. How will it work out? Who knows? I don’t know of a serious FSP Celica build ever being done. Either way, my 14 year old son and I are having a hoot playing with the thing and he’s turning wrenches for the first time ever! Good times. Be interested to hear how it turns out. I have an '85 celica GT as well as a pair of ae86's and I think you're right that the celica has potential. That said, the ae86 has something extra in the handling department that I could never get out of my celica - they just feel more nimble and agile. I haven't done any work on the celica though, so with a few mods you might really liven up the suspension. Interesting handle. You have good taste! I've had the same idea for awhile now, but I live in Ohio where these cars all turned to Iron oxide back when Reagan was still president. Good luck, and photographs, please! Aren't the FSP VWs down in the 1800s? Can the the IRS be retrofitted to replace the live axle I wonder, and would it be worth it weight and handling wise? I'll be interested in watching your progress. And to echo the sentiment from above - we need pics! I vaguely remember a guy that was into those cars saying the live axle was easier to make handle. Something about a bad camber curve on the IRS iirc. I race an '83 Volvo 240. I probably weigh 400lbs more, with similar displacement and torque, and a live rear axle. Guess what? 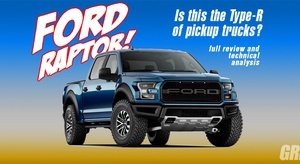 It works great and I have a load of fun driving it. Put in a lumpy cam and a throaty exhaust, and I guarantee you will be all smiles. Are you allowed to swap in the GTS rear end? I will get some pics posted. I have some somewhere. She's no looker right now lol. All the Celicas '82 to '85 are "on the same line" but you can't change the rear suspension without a ton of work. If you wanted IRS you'd get a GTS and swap out all the ST stuf you could into it to save weight. I went with the SRA for weight and because the IRS is said to have some issues with toe and camber changes. I think with the weight issue, you have to go with the lightest thing you can, and a lot of the AE86 bits will work on the Celica SRA. Thought long and hard about it, talked to some folk a lot smarter than I and decided SRA FTW. 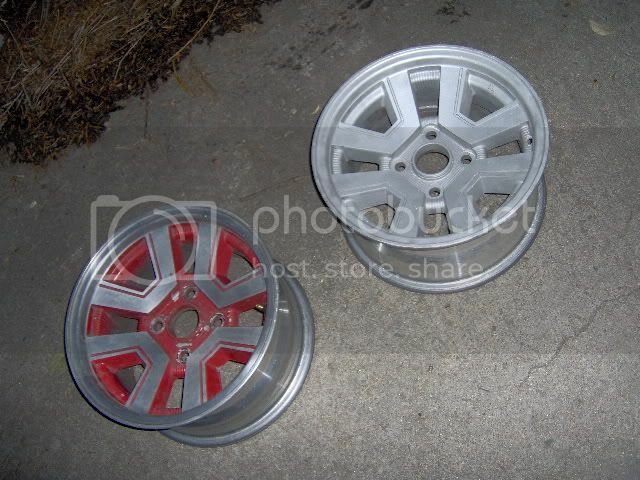 I'm working on these for street wheels. Got them cheap 'cause they were paited red, badly. I media blasted them and I'm painting them orange! CLH wrote: Aren't the FSP VWs down in the 1800s? I know of an FSP Scirocco here in Colorado that is 1760. But it's front wheel drive. There's an AE86 here that's beating it lately. 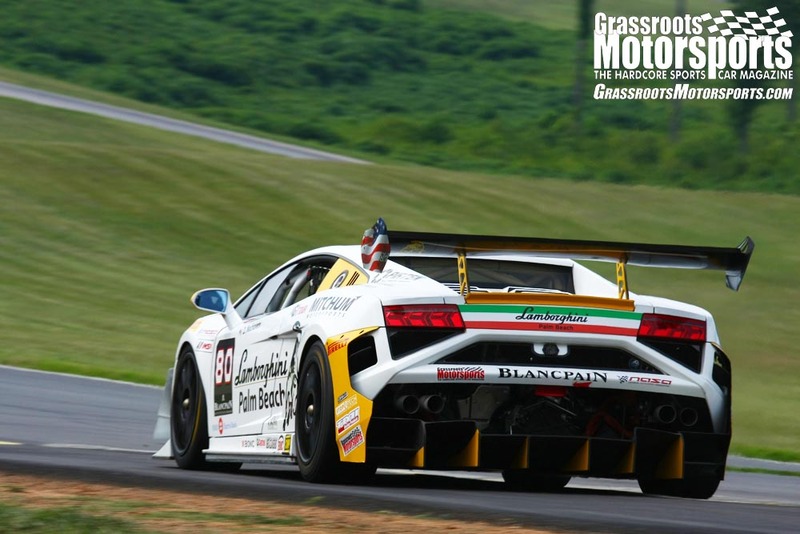 The fastest FSP car in the country for the last couple of years is Iain Manix's '68 2002, also here in Colorado. It's heavier than the Scirocco, but a lot faster. I talked to Iain about this before I bought the car and he thinks it could work. He's a pretty smart guy, so I put some stock in his opinion. Only one way to find out though. Dunno. Like I say, I could be wasting my time, but watching my friends AE86 here locally and then comparing it to my Celica, I think there's a shot this thing will work pretty well. Its not that heavy...The 2.3 Focus is a bit heavier--and makes a lot more power. Its a contender for sure...in fact in a PROSOLO, it might be at the top. 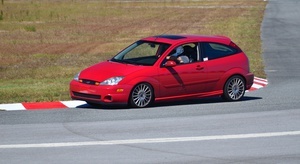 My ZX2 S/R is destined for FSP as well. It will be in the 2200's in SP trim--a torquey Zetec 2.0. Might be next year...2012 for sure. My co-driver/owner drove a mild FSP Neon last week and is absolutely 100% hooked on the idea. 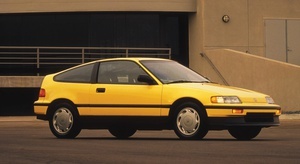 I like the idea of your car (W/ SRA too)--I had a 84 GT hatch in college. Was nice. Best of luck developing it. Yeah, I've read about the wacky geometry issues with the Celica IRS. It was just a thought. 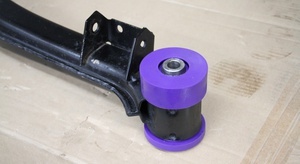 If you can get an LSD for the stick axle you're probably better off anyway since you can change the 4-link to a 3-link if that's more advantageous (not sure of the characteristics of the stock 4-link). Nice pics...the car looks pretty clean and rust free. That's a great start in and of itself. Good luck! I got the car in L.A. Rust free except for a weird spot by the rear window. Nothing major. There are actually a few LSDs available, so I'm good there. The 3 link thing is on my radar. Not sure- I have a lot of studying to do. But the SP allowances for SRAs let you do a lot. Car will be satin black, I think, or maybe a medium gray. Nothing fancy. Going to shoot it myself. 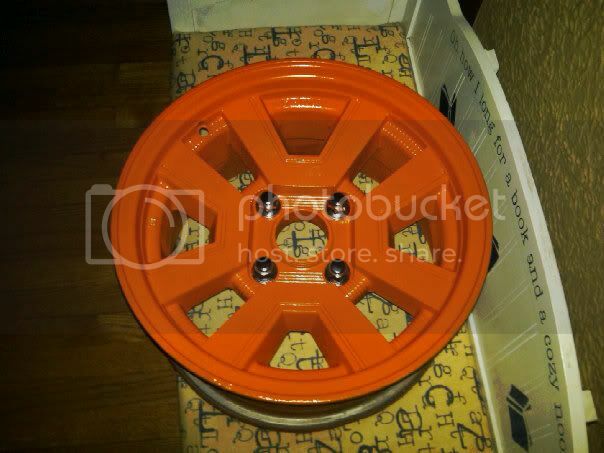 Race wheels will be 15 x 10, but these will look sweet if the paint acually holds up. 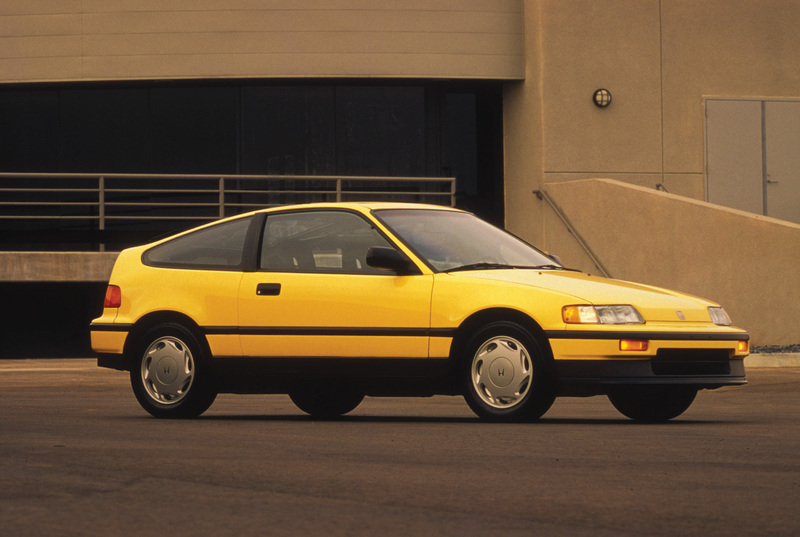 STS_ZX2 wrote: I like the idea of your car (W/ SRA too)--I had a 84 GT hatch in college. 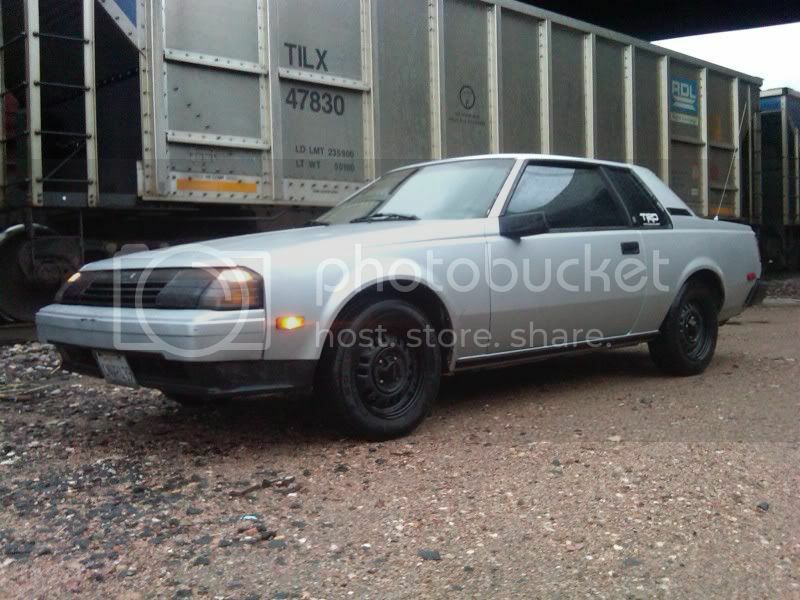 I'm weird, but that's definitely my favorite bodystyle Celica. 2300 lbs really isn't AE86 territory, unless you're including the weight of the driver. My hachi was 2150 before I ripped out about 100 lbs of A/C, power steering, and miscellany. Near as I know, swapping the SRA for the IRS doesn't happen. You either get an ST/GT and stick with the live axle, or you find a GTS if you want the independent. Of course, it's easier to find a Mk II Supra than it is a GTS, and the prices are just about identical. Check your timing chain cover - 22Rs have a plastic timing chain guide on the driver's side that likes to get all ate up by the chain, which then continues happily munching on the cover until it eventually hits a coolant passage. With the valve cover off you can peek down in there and see if it's starting, if it is, talk to the guys at Engnbldr, they sell a kit with a new timing set and steel guide that permanently solves the issue. If your timing cover is showing too much wear for your comfort, they'll sell you a new one of those, too. 22Rs have the easiest valves to adjust EVER. No excuse to have out-of-adjustment valves on that car. I do recommend getting new adjustment screws (Rock auto has 'em cheap), though, as post-adjustment your valvetrain will rattle like a diesel elsewise (and 22Rs do that to some extent anyway). ReverendDexter wrote: 2300 lbs really isn't AE86 territory, unless you're including the weight of the driver. Well, I've never had one, so guess I can't say for sure. I know my friends FSP AE86 is in that neighborhood and I know Toyota listed the curb weight for a hatchback in 1986 at 2381. Maybe that's not accurate. Their numbers for the Celicas were pretty dog gone close. Everyone told me they were overly optimistic, but once I got it on the scales it weighted what they said it would. But like I say, I don't have any first hand info. It could be wrong. Sounds like you know them better than I do. I think the silver with the orange wheels--looks cool--will look good--and it would be easier to repaint original color...however, I would take the gray over black if you had to choose from just those two. Silver with orange (and perhapos a little black and white)--think: kind of a Harley Davidson racing motif--looks sharp. buddy of mine had the same car in high school, we called it the weasel. that thing just would not die. Cool project. I am excited to see what you can do with it. I believe you can still get 225/50/14 R comps so that will give you a nice amount of rubber and better gearing, these things were geared pretty darn high. I would get 34mpg with AC or 36 without on mine, so they are quite thrifty to run. The main downfall of the IRS is the toe change, the trailing arms are at a pretty bad angle and the toe goes all over the place. I don't know enough about suspension geometry to understand why Lotus did this but I do know its damn squirley to try and drive fast. 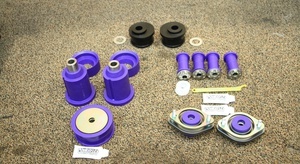 Stick with the solid axle, with the AE86 market you can buy adjustable control arms and stuff to really make it hook. LSD will be a must though. My first car was an 83 GT and my second car was an 84 GT so I do love the RA6x. Love it. Kudos for trying something different. I gotta admit though. Although I like the idea of satin black, the silver looks pretty good. ReverendDexter wrote: I'm weird, but that's definitely my favorite bodystyle Celica. 2300 lbs really isn't AE86 territory, unless you're including the weight of the driver. My hachi was 2150 *before* I ripped out about 100 lbs of A/C, power steering, and miscellany. Near as I know, swapping the SRA for the IRS doesn't happen. You either get an ST/GT and stick with the live axle, or you find a GTS if you want the independent. 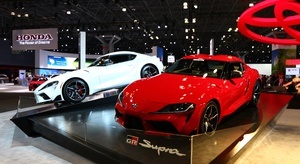 Of course, it's easier to find a Mk II Supra than it is a GTS, and the prices are just about identical. Check your timing chain cover - 22Rs have a plastic timing chain guide on the driver's side that likes to get all ate up by the chain, which then continues happily munching on the cover until it eventually hits a coolant passage. With the valve cover off you can peek down in there and see if it's starting, if it is, talk to the guys at Engnbldr, they sell a kit with a new timing set and steel guide that permanently solves the issue. If your timing cover is showing too much wear for your comfort, they'll sell you a new one of those, too. 22Rs have the easiest valves to adjust EVER. No excuse to have out-of-adjustment valves on that car. I do recommend getting new adjustment screws (Rock auto has 'em cheap), though, as post-adjustment your valvetrain will rattle like a diesel elsewise (and 22Rs do that to some extent anyway). 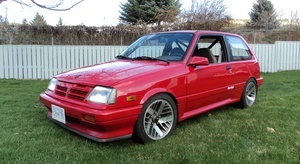 my buddt has a `82 st he runs in FSP...locally he is never beat-but he has not tested it against any serious FSP cars...his car is a hatch-i think a notch is stiffer...he is moving on to something else-i will miss seeing the car.....good luck! Race rubber will be the Hoosier 275s on 15 x 10s. Gets the gearing "right", at least I think. And it's a whole bunch of rubber. Probably have to cut fenders and put some flares on to fit them. That's great to hear mutant- I hope it will hang with fast FSP cars. We have some of the fastest here in Colorado, so not sure why I decided to go that way! SupraWes, you might know the odd thing or two I'll need to figure out! May hit you up for advice!